We didn’t really feel in the position to write devblog this week, but I am conscious that you may want to know what we have been up to in the weeks that have passed since f0.2.8e The Swindon Space Program. 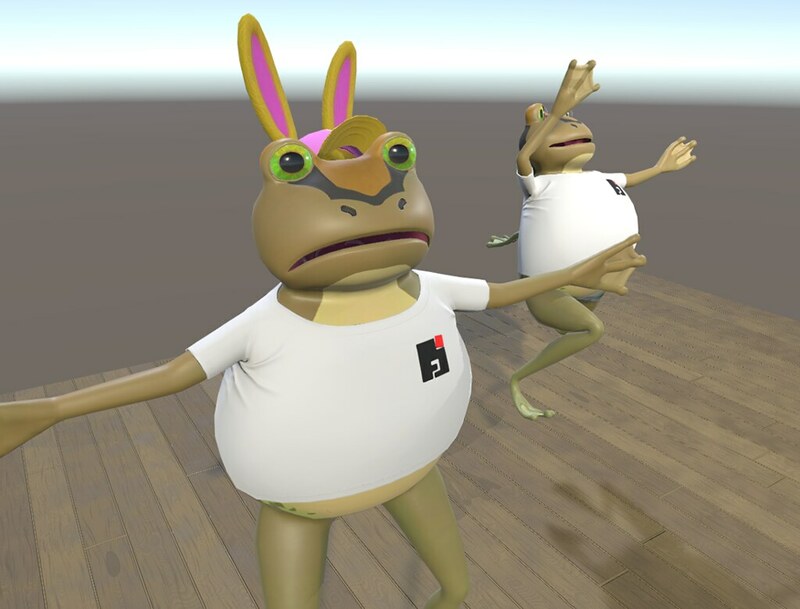 Development never really stops on Amazing Frog? These past few weeks we have been crunching on the Unity 5 version and there has been, and there will be, a lot to be getting on with. I’ll have a go at trying to explain whats involved in some of these processes. If you have been following the devblogs then you will know that we started working on the Unity 5 build last year. Our initial approach back then was to bring all the Amazing Frog? content into Unity 5 and begin a process of fixing and updating. This was relentless and left us with a complex and near broken project. It was a bit like cramming all your toys into a toy box and then climbing in to fix them. Eventually we had decided that this was the wrong way to go about it. 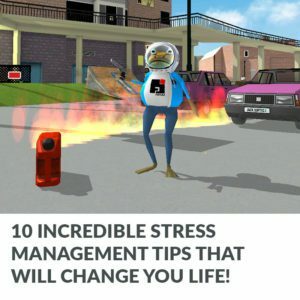 After 4 years of development and having added loads of content to the Amazing Frog world, many files, objects,systems were in desperate need of refactoring and re-organisation. Since Unity 5 was so different not just in how you make worlds, but how the physics works within them, we decided to strip out everything and only integrate working new assets one at a time, i.e. transfer the toys from one box to another one at a time. This has left the world feeling very tidy and looking much better, but the process is a bit slower. So lets have a think about 3 of such toys being transferred.Basically 3 Core components of the game – Swindon Shire, Swindon’s Architecture and The Frog and what you might expect to see from them in The next version. 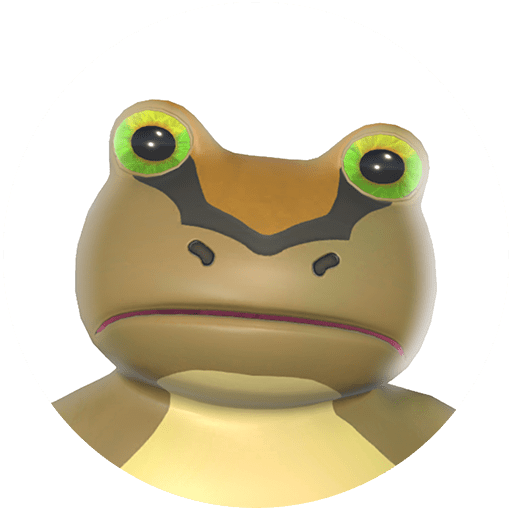 For us, one of the most important features of Amazing Frog? was being able to catapult your self comically over great distances, but one of the biggest disappointments in unity 4 was not having as much control over the variety of terrain in the Landscape as we would have liked. This is partly why its so massive and unvaried. We have known that we would be able to greatly improve on this in Unity 5 and so for the past few weeks Hal has been getting his Slartibartfast on and pushing the geological features of SwindonShire. The next-gen SwindonShire has loads more surface detail, dynamic wetness and most importantly it brings the ability to add so much more variety. 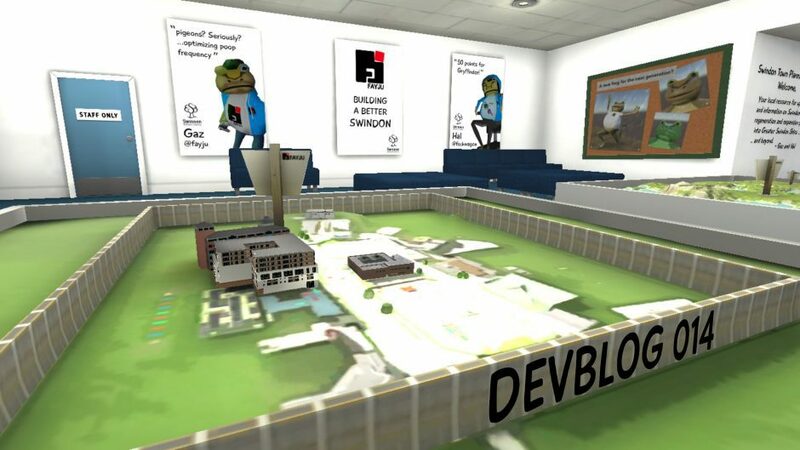 In the past we had started work on areas like ‘The Swamp’ or ‘The Swindon Landfill’ but they didn’t make the cut in any of the Unity 4 versions. We simply couldn’t achieve what we wanted. With our current tool set in U5 we can now carry on with this. No more flying for miles across endless green. We did always want a bunch of trees to get in the way any way. We have to be careful though. Amazing Frog? 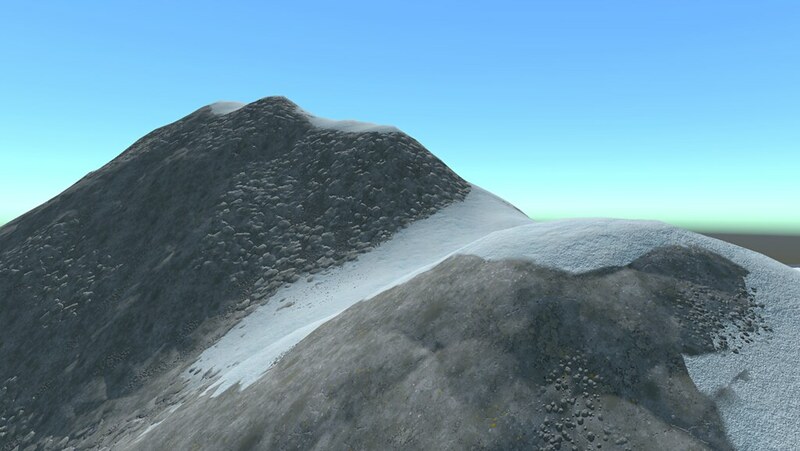 is a physics heavy game and its taking a while to optimise the new terrain to work with the game. Creating variety and character in the Isle of Swindon Shire is also not just about the surface but also the vegetation and the wildlife. Part of the reason why we integrated the pigeons in to f0.2.8e was to prepare for the wildlife that would inhabit greater SwindonShire. As you can see in The Swindon Town Planning Office there is a table top Map Model of inside the Wall. On that map there are some models of buildings and the rest is flat. Each new or refurbished building in Swindon is represented by a model on this table top map. Going back to the toy box analogy We decided to remove every building from Swindon that is not on that map model and flatten it. Giving each building more purpose. We are basically filtering out some of the older and simpler architectural features in favour of the newer functional buildings with interiors like Frog Court, Fart Gyms, The Swindon Town Planning Office and the Hideout and The Frog Milk coffee Co. building and (not featured in U4) we also have our first highstreet branch of The Bank of Swindon. 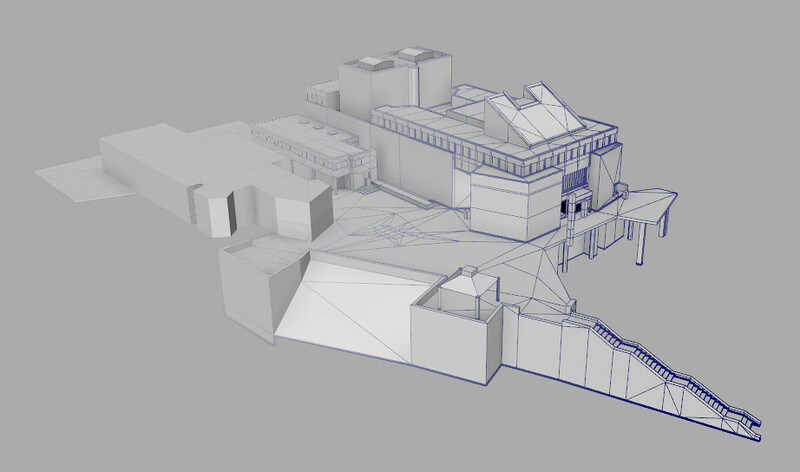 To get back into the swing of Swindon Architectural modeling, Hal is currently renovating one of the most important buildings in Swindon – The Fayju Building (The Wyvern Theatre in reality). Featuring more indoor spaces, an underground carpark and an expanded and newly curated fArt Gallery. 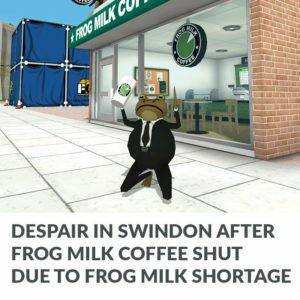 The Fayju Building was one of the first buildings Hal created of Swindon when we began this quest to build Amazing Frog? so we are so excited to see this one coming together. Also because its the one we work in. Also its fun watching Hal walk around the foyer downstairs taking reference photos while people wonder what the hell he is up to. After I had finished with f0.2.8e I got my hands on the new Frog. A moment I had been waiting for with great anticipation since watching it evolve on Hal’s Monitor a few months back. We had realised earlier in this process that the physics was so different in U5 that much work had to be done with the ragdoll. We had figured that now was a good time to upgrade the frog. This is where most of my time has been spent recently. While there is a lot to develop around the environment on many core systems in AF? like the fPhone, to the new customisable vehicles or the new camera and visual effects system or the weapons, fire system, I have found myself back on The Frog. A new Frog with eyes that look around a mouth that smiles… fingers?? OMG. A frog that wears clothes rather than having them painted on. A multiplayer frog. I would say though -Some of the things I am seeing on my screen currently I do not wish to share… hideous mistakes that seem to catapult this beautiful creation into infinity. But I am excited where its going. So much more expression, so many more possibilities. I’ll try and post more about the new frog soon. I want to try and keep up regular Devblogs, so do feel free to tweet me @fayju or nudge me on Steam to ask me where the next devblog is. Some times both Hal and I get so wrapped up in development its something that we forget. Oh – Also I almost forgot. Sorry to all the people who wanted a 32 bit version. I have updated the current build. It now has both a 64bit Windows version and a 32Bit Windows version and I have set it so it should download the relevant one for your system. We do not have a 32bit machine to test this on but it should work , please let us know if it is now working on your 32 bit machines.